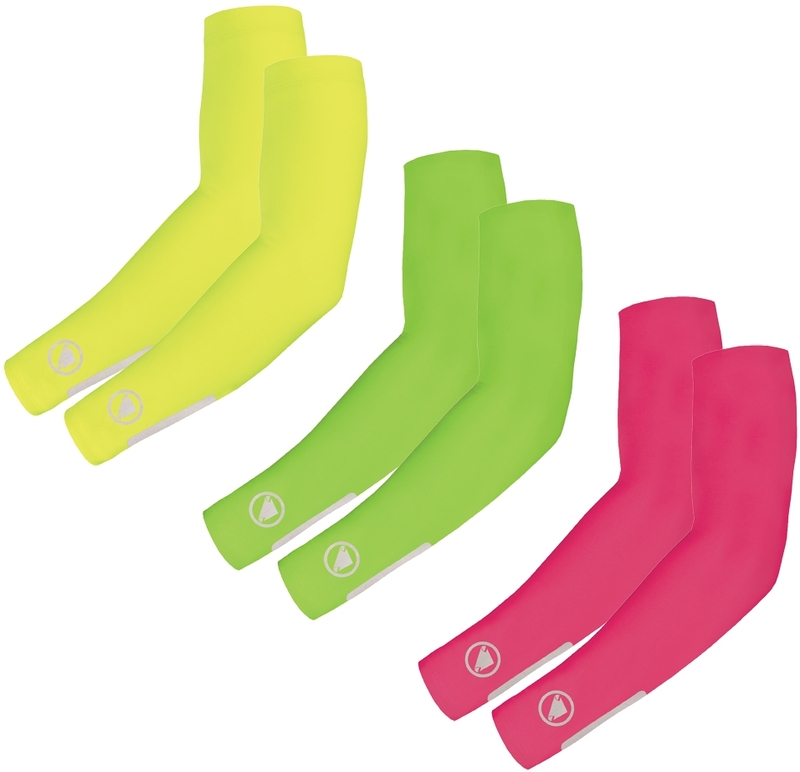 Bright and brilliant, these Endura arm warmers come in three colourways, all of them eye-wateringly loud and proud. Who says colour-blocking should be confined to the catwalk? Mmmmm, French. Mmmmm, Merino. Mmmmm, artfully-placed elements of colour. As well as looking awesome, the Jura is made with a new yarn of Merino that has been treated with H2Dry which amps up its breathability and elasticity. It also holds its shape better through multiple washes. Win! There’s a whole range of Sunwise glasses on VeloVixen, but we picked these for that perfect balance of sleek and chic. Lightweight, tough, comfortable and offering UVA and UVB protection, you won’t find a better pair of specs for less than £25. Ideal for long rides when the mercury soars. Made with ultralight technical mesh for extra breathability and available in three alluring colourways, this sleeveless summer base from Queen of the Mountains is here to help you stay cool with a cycle-smile plastered across your face. Apparently, the print is inspired by the mighty Col d’Izoard. Ouch! This baby is cut slightly longer so you can wear a heart rate monitor underneath… if that sort of training is your bag. And if it isn’t, its awesome versatility will impress. Can be worn on its own in high heat or as part of a layered setup. Designed, developed and tested by real cyclists right here in the UK, Rivelo’s range of jerseys are brimming with all that technical good stuff you want, without the bland looks you sometimes get with ‘performance’ gear. Soft, moisture wicking fabric will keep you dry, while the water-resistant rear pocket will protect essentials from sudden showers. Popularised in by the mountain bike crew many moons ago and adopted by the fixie-riding courier set, every cyclist – regardless of discipline – ought to have at least one good pair of 3/4-length shorts. Velocity make great-looking and high-functioning cycling gear, so these should definitely be on your hit list. Fuelled by fierce designs from the likes of Devon-based kit brand Primal, the #sockdoping juggernaut continues to rumble onwards. Known for their creative use of colour in kits, the Primal team keep delivering with their latest sock offering. Made with hot weather in mind, the fabric offers excellent breathability and moisture management, so you can look and feel the part. Comes with sprinkles as standard! Tired of burning through phones faster than a London courier through the lights? Try protecting it with a VeloPac – designed to keep your cash, keys, cards and that all-important smartphone safe from impacts, summer sweat or surprise downpours. Comes in a bunch of great designs. We know what you’re thinking, “Who is Anna and why should I care about her legs?”. It’s a fair ask, so we’ll tell you. Anna Glowinski is a TV presenter and kit designer and the “Legs” part is her new brand. These 3/4 length leggings feature a ‘sunset-inspired’ print, as well as a proper cycling chamois for comfort in the saddle. Good looks, good fit, modern and stylish. The Fleurette is a technical performance jersey that just happens to look brilliant, courtesy of those clever people at Café du Cycliste. We love the foldable sleeve / cuff, which gives you the option for a little bit more ventilation at the peak of summer and a sneaky peek at contrasting print. What Castelli don’t know about cycling kit ain’t worth knowing. The Italian brand has been around for decades, making gear for casual cyclists and elite athletes alike. Their Velocissima Shorts are probably designed more for the former though, with a bibless construction that allows for the sort of swift and sneaky roadside pee break more commonly seen during group rides than the world champs. Endura’s Singletrack shorts and jersey combo is designed for those adventurous rides where you head into the world with now’t but your bike and a banana in your back pocket. Aimed at the adventure set, we think they’re just the ticket for touring and commuter use too.